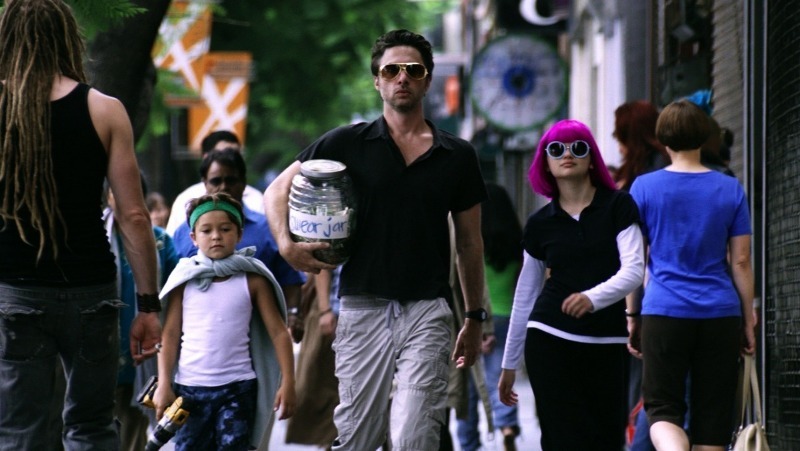 Zach Braff’s long-awaited comedy-drama Wish I Was Here is finally released in the UK this week. The film – about a struggling actor who decides to home school his kids in order to keep pursuing his dream – is notable for being partially funded by Kickstarter, a decision Braff made in order to a) get the film made and b) get final cut on the movie. NUTS! is the animated and unbelievably true story of John Brinkley, an American doctor who makes his fame and fortune by finding a cure for male impotence – goats’ privates. Yes, John replaces men’s privates with those of goats. Feel free to go and get some fresh air for five minutes. NUTS! currently has $5,060 of funding, with a target of $78,000. There are 26 days left to back it. Pledges start from $1 (which get you exclusive updates) to $10,000, which gets you an associate producer credit and a role in the film (hopefully not as one of the poor blokes John operated on). Anyone who loved gaming as a child is bound to have made up their own video game when they were younger, drawing up magical universes before realising that making games is really, really hard. Most of our pretend game drawings ended up in the bin, but filmmaker Joe Granato found his and now plans to actually make the game, along with a documentary following the development. Proof, ultimately, that childhood dreams can come true. Pledge benefits range from a copy of the game and documentary for $20 to the dev team actually making you a game for $10,000 (if you can find your childhood drawings). The New 8-Bit Heroes has raised $13,150 towards a $36,000 goal with 29 days to go. Stop-motion filmmaking has come back into fashion recently, with Wes Anderson’s The Fantastic Mr. Fox probably the most popular example. Capsule is a stop-motion animation about a lone astronaut on a 50 year solo mission, taking a lot of inspiration from 60s and 70s sci-fi like 2001: A Space Odyssey. Based on the pictures posted so far, it already looks amazing. Capsule currently has $7,046 raised towards a $10,000 goal, with 6 days to go. Just look at that title! This is a low budget sequel to the 1991 cult classic Samurai Cop, in which a normal policeman who happens to be adept with a samurai sword tries to take down a gang of female assassins. Yes, really. You have 3 days left to back Samurai Cop 2 and help the project hit its $50,000 target (it’s currently on $47,257). And finally, a project from the UK. Starcross tells the tale of a young lad on community service who meets a girl, and the drama that follows. The cast is made up of non-professional actors from disadvantaged communities and is designed to raise awareness of issues such as mental health, knife crime and anti-social behaviour. The film currently has £3,371 pledged towards it, with the goal to hit £4,000. If you fancy backing a few films on Kickstarter (or even making your own), why not sell a couple of your DVDs with musicMagpie?